That´s Chinook - border-collie-chinooks Webseite! Chinook is a spirited male dog. Although he is very active outdoors, he knows that he has to rest and be calm inside the house. He is very cuddly and loves to be tickled. Chinook is always ready for a good time. 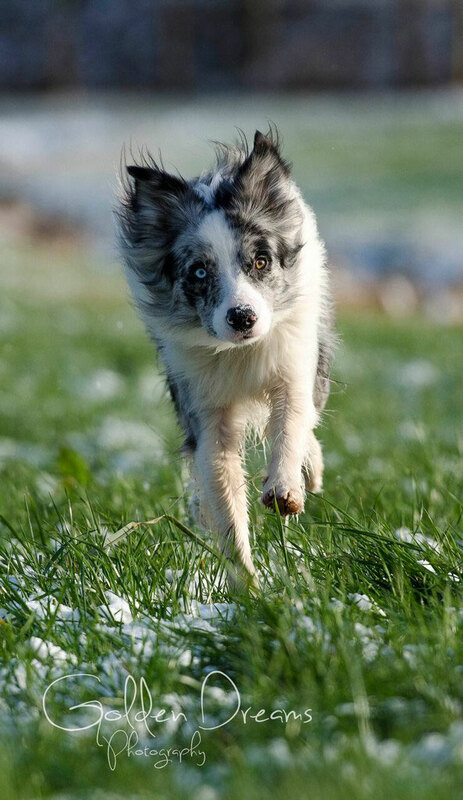 Whether frisbee, trickdog or parts of agility. He pays full attention and likes to please. He is very open-minded and agreeable to people and animals. Regardless if other dogs are tiny or big, calm or bubbly, young or old, male or female. He is constantly in touch with other dogs and enjoys this very much. 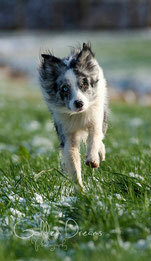 Typical of the breed, Chinook has a herding instinct, which is well dirigible however.